Don't you just hate it when everything gets knotted and you spend more time unravelling the wool than you do knitting the jumper? 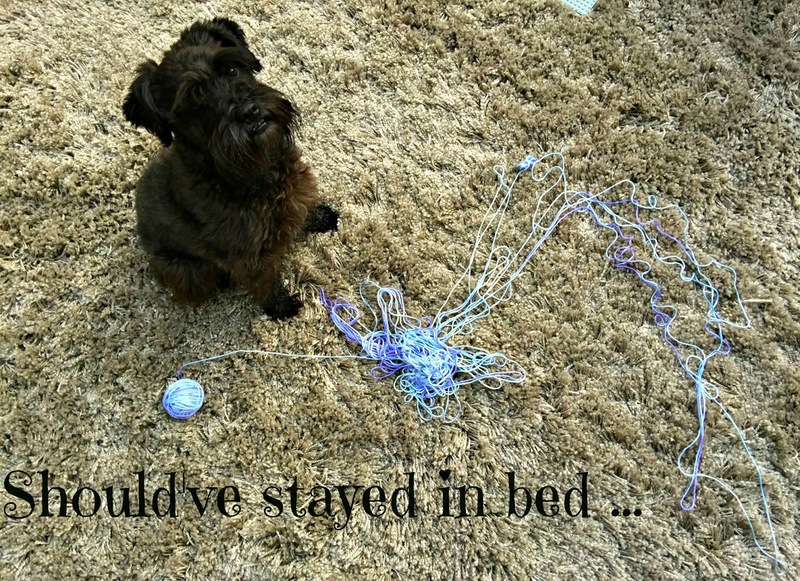 :-(( Normally I can count on Emi, Mr B ... the Wonder Dog ... anyone to hold their hands/ paws up obligingly so that I can unravel and wind my skeins into nice, neat balls of yarn ready to go. Today, however, things did not go according to plan ... . Note to self: buy one of those umbrella-twister/ ball-winder combos to avoid nervous melt-down!!! I think we've all had days like that!